ATD reports that global technology companies spend 4 times more on producing one hour of content than average. On top of that, the traditional technology company only re-uses 16% of their content more than once. Although these figures stick out of the crowd, they aren’t unexpected. Most technology companies aren’t just innovators in technology. They strive to innovate in everything they do and the L&D organization is no exception. Also, the pace of change in technology companies is much greater than most, meaning learning content becomes outdated much quicker than others, thus shrinking the re-use rate. 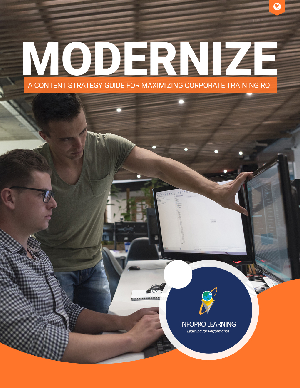 To learn how companies, especially those in technology, can work to shrink the cost of content production and increase the re-use rate, download our ebook.